Hello! Welcome to Almond Place! I have a lot of new readers around here, so I figured I'd introduce myself a little. I'm Mandy, mama to 3 littles (ages 6, 4 and almost 2). I am Canadian but now live in the Southwest of the US with my little brood. Our oldest little guy, Andrew, is wrapping up his first year of school this week. I wasn't emotional when he started Kindergarten but I am a hot mess this week! I can hardly believe it. Apparently when you finish Kinder, you are now a "Grader"....sounds like a playground posse!!! Since I am passionate about memory keeping, I knew from the get-go that I wanted to take on making these memory books for his class. Thankfully his teacher was 100% on board and we collaborated a lot over the year. 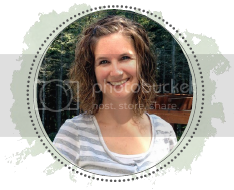 A few years ago, Becky Higgins had posted the free templates on her website along with a few tutorials. I simply downloaded the free files and took it from there. I started with 24 folders (duotangs) and 10 page protectors for each album. I used plain white cardstock for the pages and random pieces of patterned paper from my stash for the top strip. Then, I coordinated with Mrs. C on some of the topics we would focus on. Their title page was a photo taken in the first week of school. (Don't mind all of the blurred out faces and names!) I really wanted to focus on a variety of aspects of their first year of school, so I considered their routines, their new skills, and a few special days like a class party and learning unit. As you can see, the templates are a basic outline. I did fill in each of the pages with the month and topic. As the children were drawing their pictures, I would also ask them a few prompt questions so I could write down their answers in their books. As the year went on, we did try having the kids write their own reflections/descriptions but because they are still new at writing, it often wasn't as legible as I wanted....so I would ask for some clarification and fill it in on the bottom. It was important to me for them to write so we could see the changes in their handwriting, but I also wanted them to be able to read it later! I made sure to try and capture them in more candid shots. Sometimes this worked and sometimes it didn't. I did not stress about it. I included a class photo as an additional page to one month and left out a drawing page on another. Occasionally there were some kids missing on the days when I would come to take the photos. Mrs. C was awesome at helping me fill in some of the gaps. She took a ton of photos all year and it was so helpful. I also had to plan a couple of quick pop-ins to snag some of them for the lunch pic, the year end pic. The kids who missed the days when we assembled? They played catch up the next time. Kindergarten teachers are AMAZING. We are beyond blessed that Andrew had Mrs. C this year. She was everything I wanted in a teacher for him. She was also awesome to work with and was so supportive in making this project happen. It was awesome to see the kids develop over the year. They were just so thrilled to do this and I absolutely loved working with them. have all of the pages copied before we start...I was occasionally scrambling at the last minute to get the copies made. stick to one format of photo. I realized about half way through that I was adding a lot more work when I had half of the photos vertical and the other half horizontal. It's easier if they are all the same. I would put a little more effort in making the patterned strips coordinate. I'm a little ocd and it bugs me that their strips are a hodge podge of what I had around the house. Next year, I'll buy it all first and have it be a little more cohesive. As our class gift to Mrs. C, I used one of the Project Life 6 X 8 albums in black. We had the kids fill out little interview questions about their year in Kindergarten as well as what their teacher likes to do when she's not at school. This took a little more planning because we had to get the responses back from parents. Luckily, I was able to snag a couple of interviews from some kids who hadn't responded and we were able to get everyone's contribution in the book. I filled the book with their interviews followed by their photos with Mrs. C from their memory books. Then, as a last minute thing, I decided to print out their first and last pictures as 3 X 4s....I was able to include all of those in the album using the various page protectors available. The kids received their completed books this morning at the Kindergarten party. It was great to see them flipping through the books with their families and many parents were appreciative of the books. Thanks, Miss Becky for making an awesome project totally doable!! Super cute! Do you know if they are still available? Hi Stephanie! I sent you an email with the files for you to use! Have fun! !